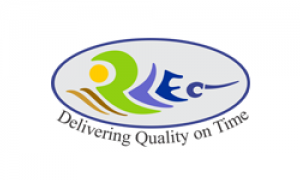 Business description from prospectus – RKEC Projects is a construction company primarily engaged in the business of Civil Construction such as construction of Highways, roads and bridges. During the last decade, it has undertaken and successfully completed many construction projects in India covering states of Andhra Pradesh, Tamil Nadu, Gujarat, Odisha, Rajasthan and Maharashtra. In addition to these, it has expanded presence to three more states, Kerala, Uttar Pradesh and Manipur, with ongoing projects. The company’s core business is designing and undertaking construction projects such as Bridges, Ports, dams, high-rise structures, airports, cross water, roads, highways, Oil and gas Pipelines, complexes and environmental structures across India. It has attained good reputation among our clients because of track record, experienced members and a proven strength on delivery norms across its all spectrum of services. The company has entered into projects for diverse range of clients including Defence sector, Railways, Ports, Adani Port, Vedanta Ltd, IVRCL Limited, Rashtriya Ispat Nigam Limited and ESSAR. RKEC Projects IPO allotment status is now available on Bigshare Services' website. Click on this link to get allotment status.